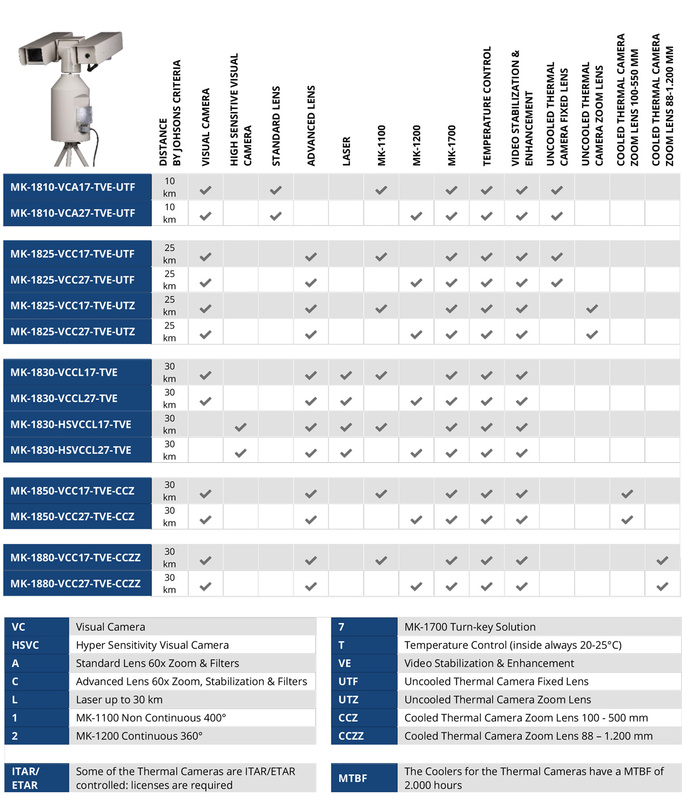 Evve Long Range cameras are custom built after the requirements of the end user because the MK-serie comes with an extensive option list. The following matrix show different options, but other combinations /options are possible. The product data sheets are available at the Download page.